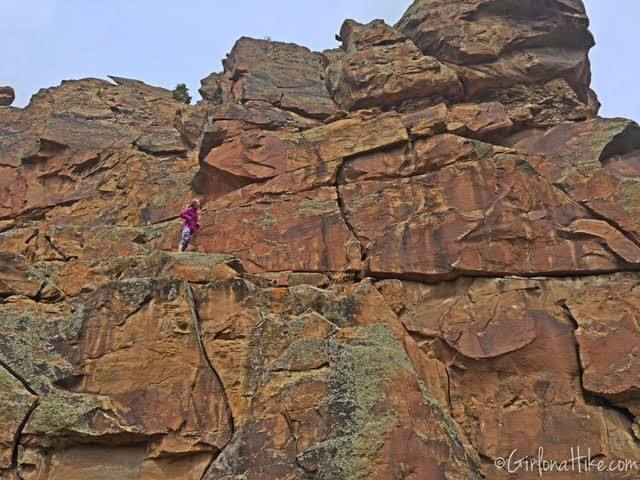 After hiking to Gordon Creek Waterfalls, we drove to Nine Mile Canyon. 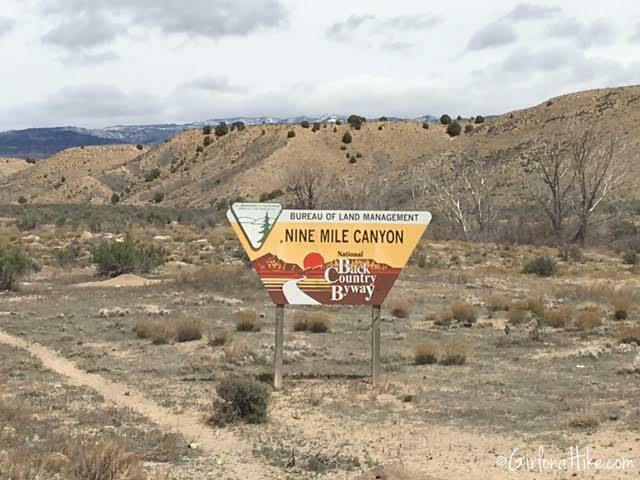 From it's name, you'd imagine that it would literally be nine miles - in reality, Nine Mile Canyon is actually a 70 mile long Backcountry Byway. The BLM believes it derived it's name from, when in 1869, John Wesley Powell was exploring the Green River. 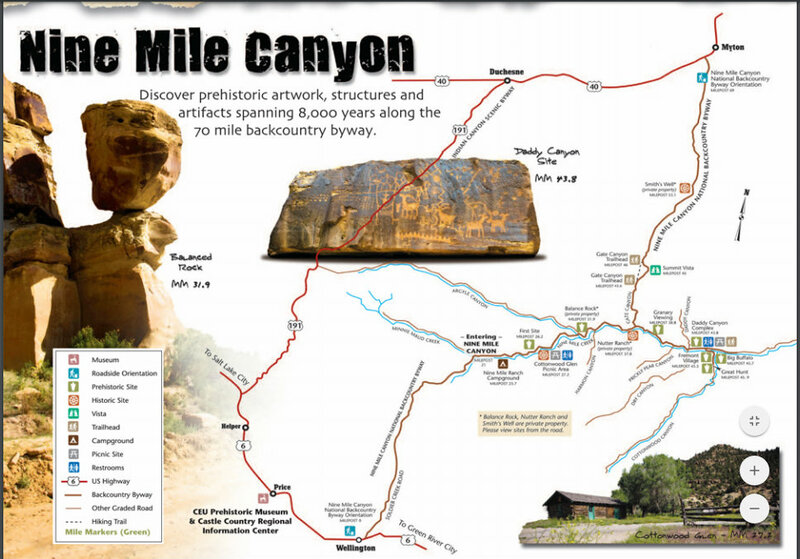 The expeditions cartographer used a nine mile transect for mapping and the canyon retained that name. Many tribes and people have used Nine Mile Canyon, mainly the Fremont and Ute Indians. 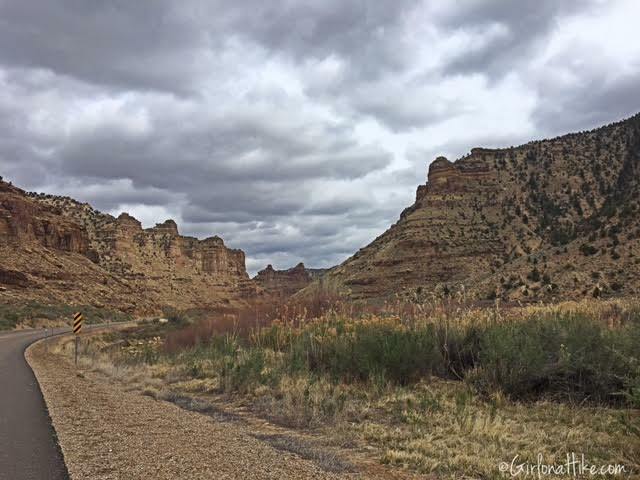 In the late 1800s locals built the road to haul goods from Price, Utah to the Uinta basin. 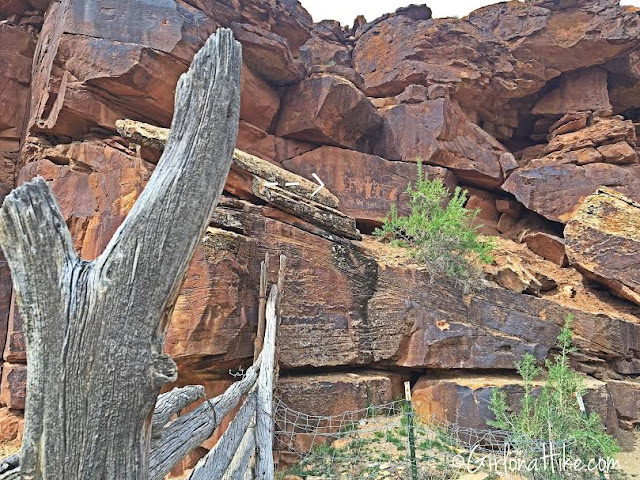 Each has left traces in this canyon that can still be seen - petroglphys, pictographs, historic inscriptions, telegraph poles, and homesteads. 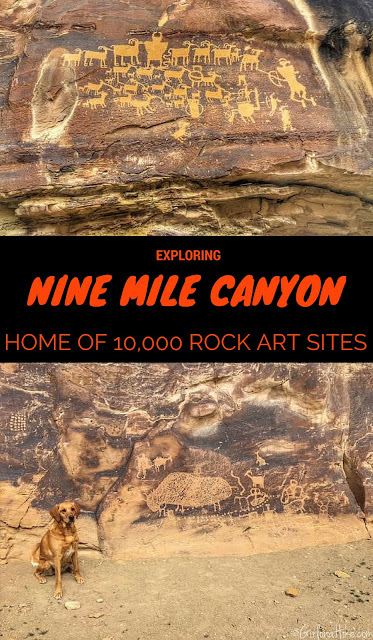 Nicknamed the "Worlds Longest Art Galley", Nine Mile Canyon is home to 10,000 rock art sites. 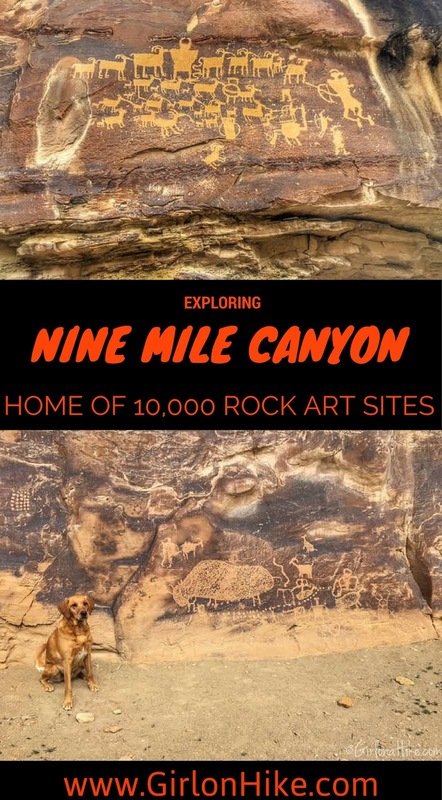 Not all sites are pointed out to tourists, but the books "The Split Sky: A Journey into Utah's Nine Mile Canyon" and "Nine Mile Canyon: The Archaeological History of an American" are good resources to discover "off the beaten path" rock art sites. Like most tourist, we stopped at the popular sites. We were a little short on time, so we weren't able to explore much. On a Sunday, we literally saw three other people the entire day. 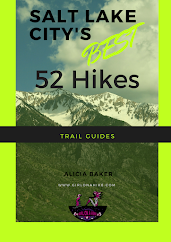 This isn't a hiking destination, more of a "get out of your car and look" destination. Be aware that there are no services on this road - have plenty of gas, food, and water on hand. Restrooms are located in the canyon sporadically. As with all historic sites, please leave only footprints and take only photographs. Please report any vandalism that you may see, as it is considered a felony offense. From SLC, head south on I-15 and take exit 257 for HWY 6, towards Price, UT. Follow this past Price until you reach the Chevron/Subway in Wellington, UT, and turn left here. This is your last stop for gas, food, and water. Drive 20 miles down this road, and you will officially be in Nine Mile Canyon. There are no fees/permits to enter the canyon. Dogs are allowed but must be kept on a leash. 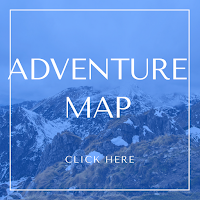 Driving and self-guided tour map. You will pass two entrance signs. The yellow sign is the first one. The 2nd sign you pass is the brown one. Our first stop was at mile marker 26.2, on the left side of the road, appropriately named "First Site". You will see a small pull out on the right. 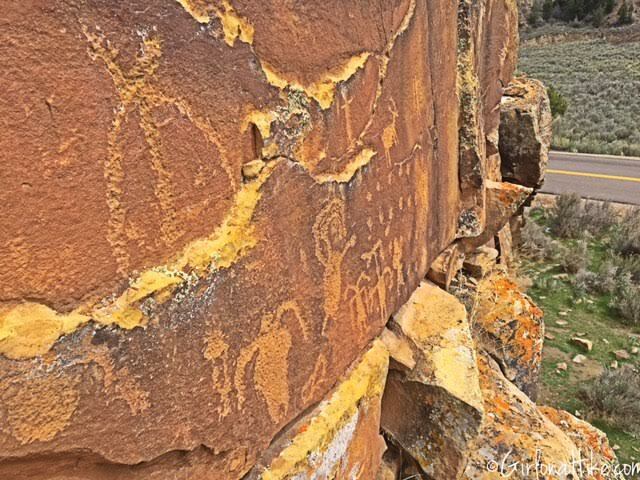 Walk across the road to view the petroglyphs. Keep your eyes up! There are several figures here, along with some vandalism, unfortunately. Our second stop was at mile marker 43.0, just before the Daddy Canyon Complex. 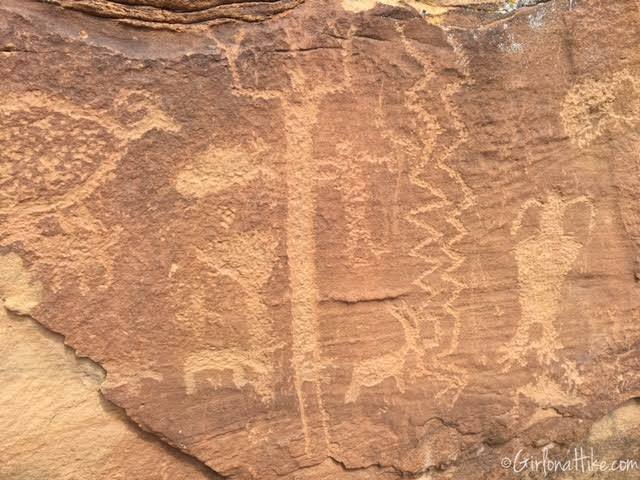 The pull out is on the left side of the road, along with the petroglyphs. 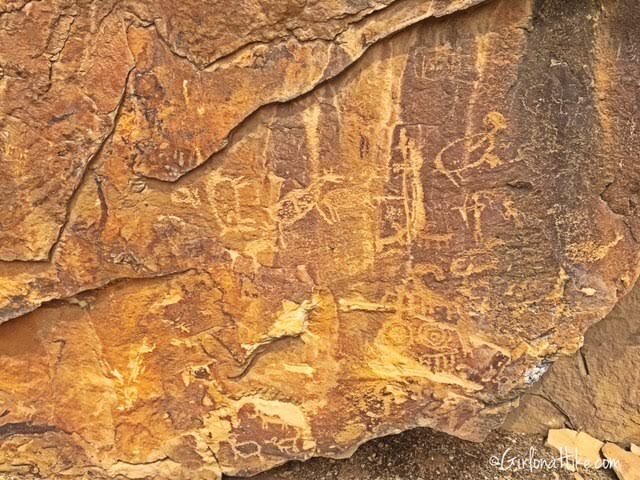 Again, several petroglyphs have been vandalized, however there are still plenty to view that are still in their original form. 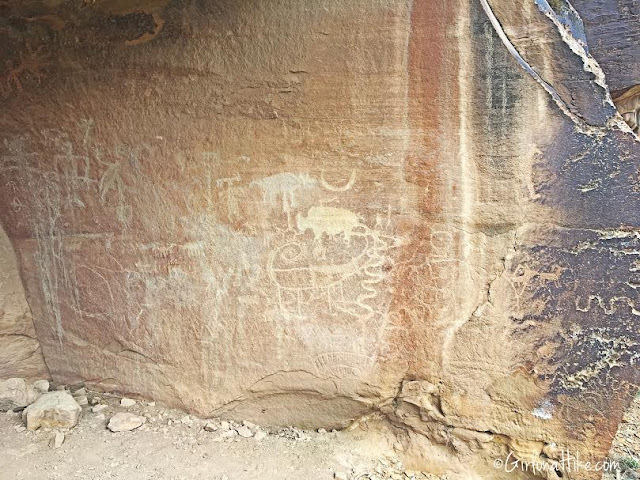 The petroglyphs are located under a hollow arch in the rock wall. The Indians probably lived under this for protection against rain and wind. View of Nine Mile Canyon. At mile mark 43.8, you will arrive at the Daddy Canyon Complex on your left. On the right side of the road is the first restroom. 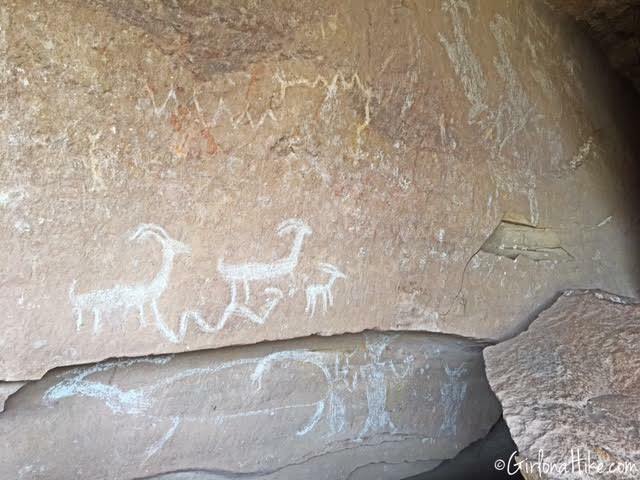 This is the first site that contains a trail that leads you along the cliff faces that contain both Fremont and Ute era rock art. 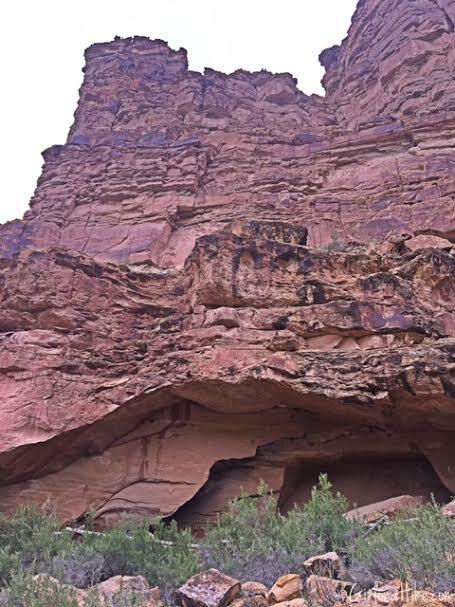 This canyon probably got its name from Katherine Nutter, when she referred to her husband Preston. She was much younger that him and always referred to him as "Daddy", "Daddy Dearest", and "My Daddy" in her letters to him. If you have dogs with you, this is a nice, short trail for them to stretch their legs. 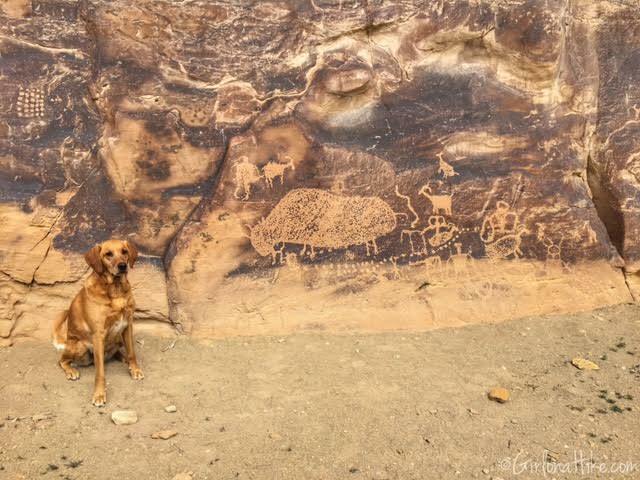 Do you see the petroglyphs between Talli and Charlie? 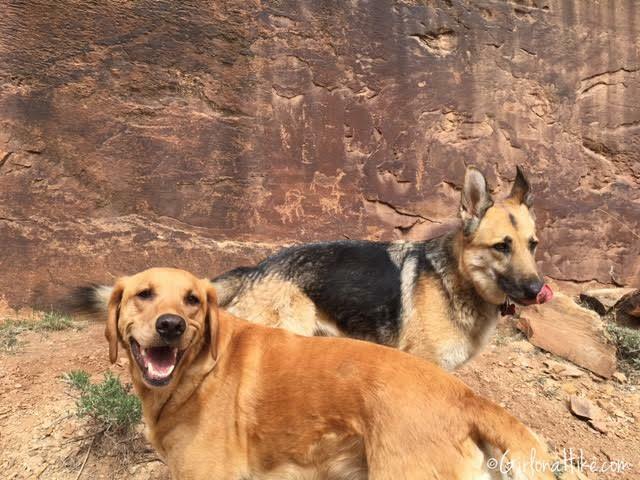 The dogs were all smiles. They were finally glad to get out of the car for a few minutes. At mile marker 45.7 you will see a pullout on both sides of the road. Find the small trail on the North side of the road, and follow it for about 100 yards. 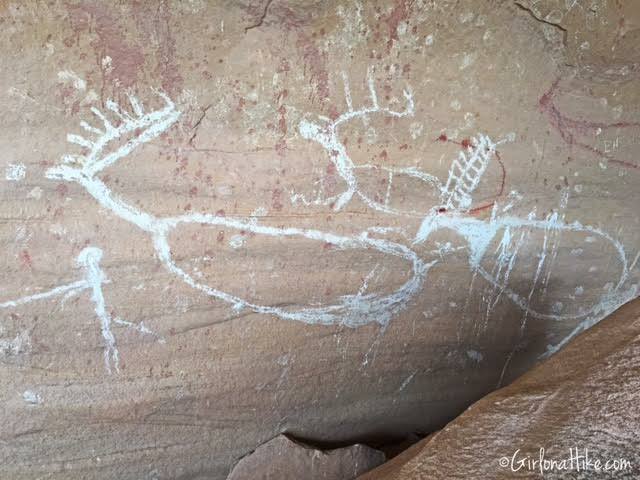 There you will see the "pregnant buffalo" petroglyph. 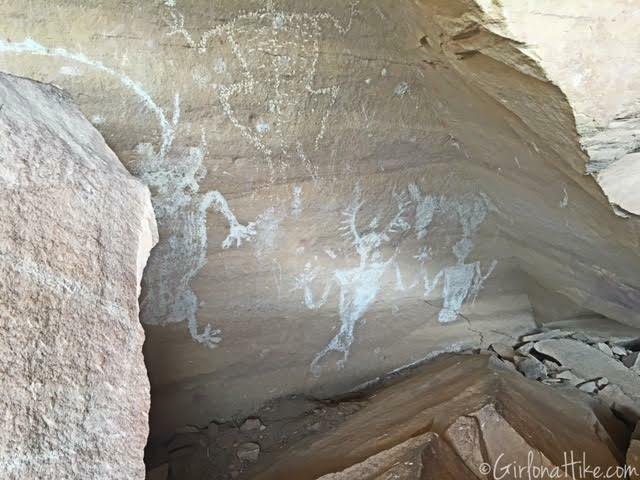 Most bison figures located in Nine Mile Canyon were created by the Utes who used this canyon in the early days. The Utes obtained the horse sometime after 1680, which transformed their lifestyle and culture from one of subsisting on wild grasses to one of hunting bison. 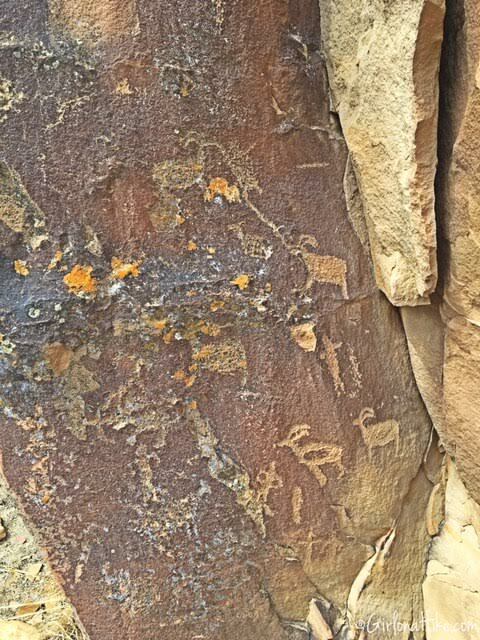 The bison images hint that there may have been a remnant herd in the canyon. This was later confirmed by an archaeological excavation on two arrowheads, both of which contained blood protein tissue residue. Tests showed one was either elk or deer, and the other, bison. Most people take photos of their kids in front of cool places; I take photos of Charlie in cool places. 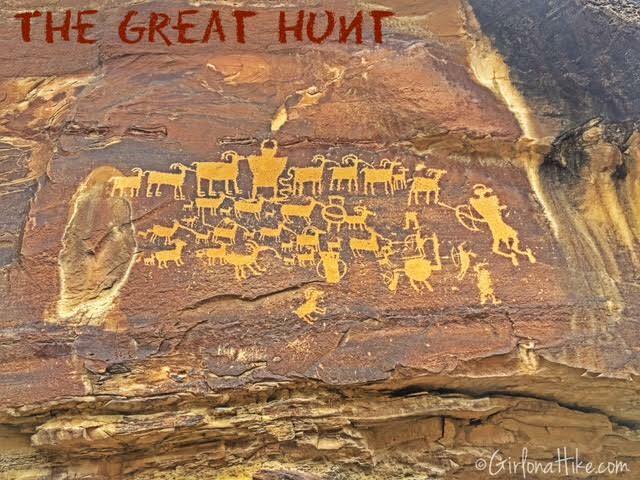 The last stop on our self-guided tour was the popular, "The Great Hunt," at mile marker 46. 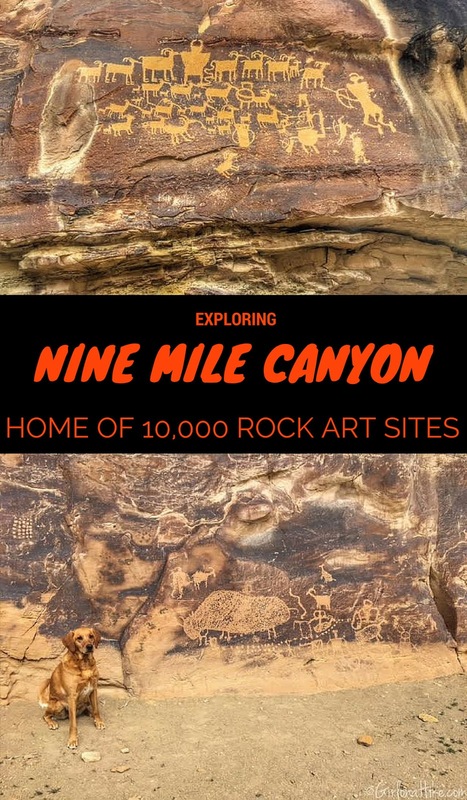 There is a larger parking lot for this since it is the most well known panel of rock art in the canyon. 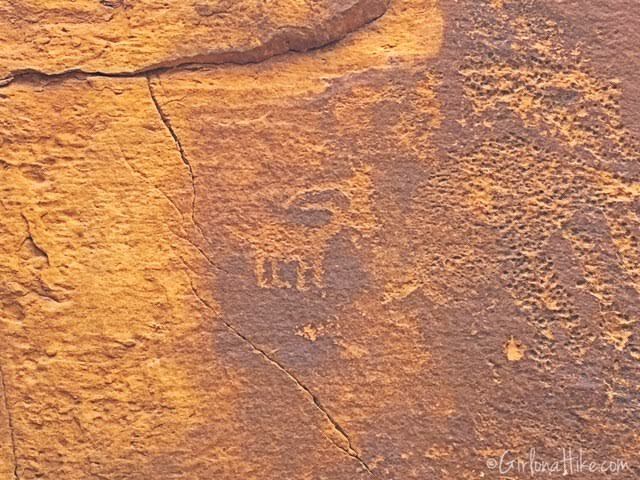 It has appeared in National Geographic magazine and has been used several times as an example of Fremont rock art. 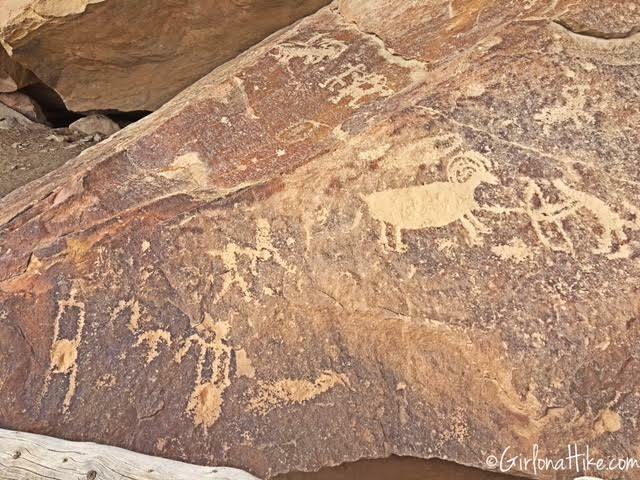 Scholars believe it might represent an actual bighorn sheep hunt; wildlife biologists believe it depicts a scene in late November when herds meet for the fall mating season. It is the only time of year when rams, ewes, and lambs are all together in the same place. 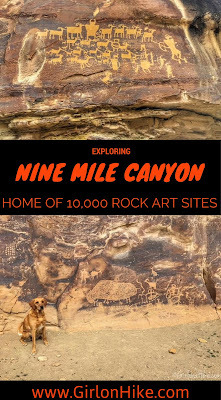 Nine Mile Canyon requires at least a half day of exploring, with driving. 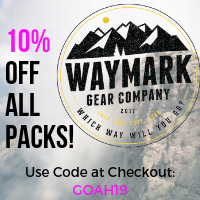 I recommend that if you plan on only spending a day to explore here, to combine it with hiking Gordon Creek Waterfalls, especially if you bring kids or dogs. 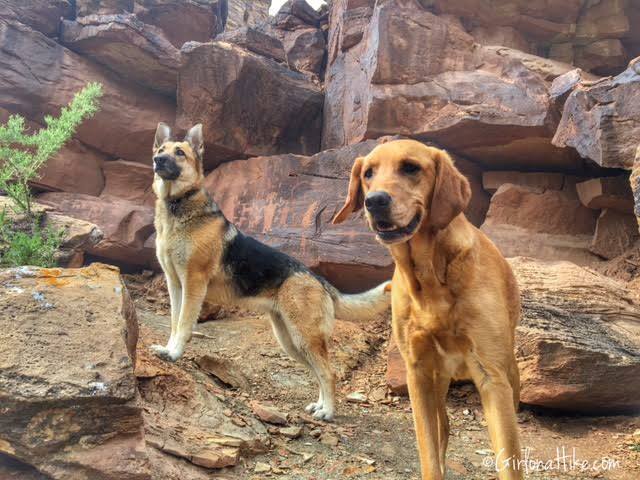 We hiked to the falls first, then explored this canyon, and it was nice that the dogs got their energy out before having to sit still in the car for a few more hours. 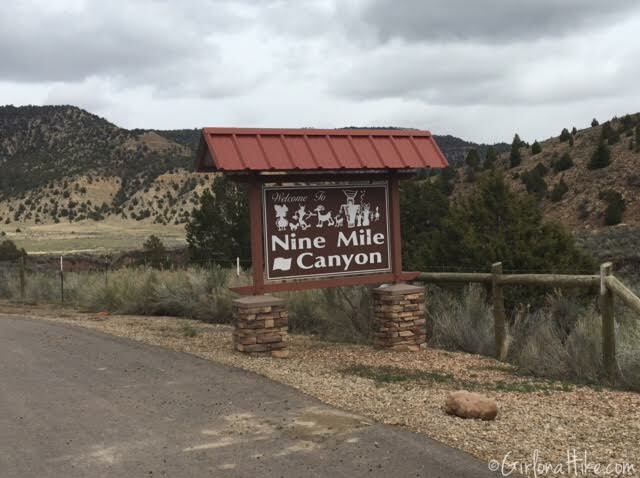 If you'd rather take more time to explore everything Nine Mile Canyon has to offer, the closest hotels are in Price, Utah. 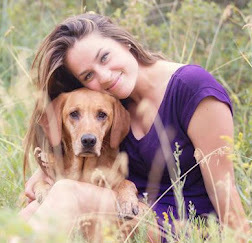 I was looking at my Utah bucket list I created before I even moved here and this is apparently on my list! 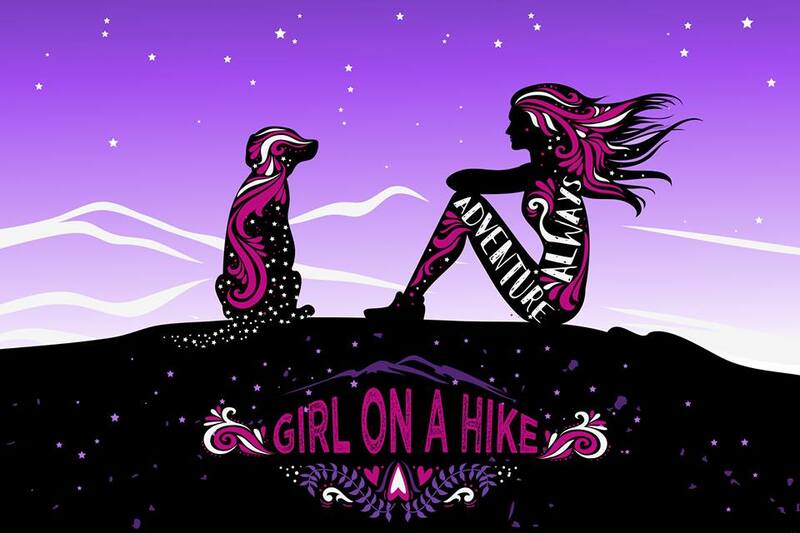 Looks like a cool hike!